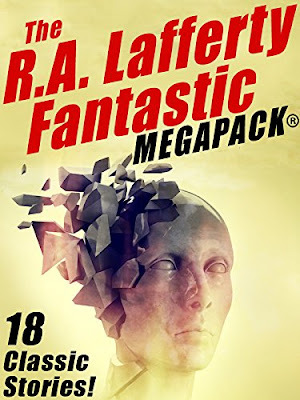 The R.A. Lafferty Fantastic Megapack is an anthology of his early stories, many if not most which were allowed to go out of print, available for just 99 cents for an ebook. Despite the modest price, this is a really good anthology; Lafferty was never better as a short story writer than he was at the beginning, and many of these stories also are reprinted in the three core anthologies: Nine Hundred Grandmothers, Strange Doings and Does Anyone Else Have Something Further to Add? If you wonder what all the noise from the Lafferty cultists is all about, this is an affordable way to find out.